As amazing as Kickstarter is as a means for folks to reach out directly to customers / viewers as investors for their projects, you have to admit that there's a lot of crap out there. And thus the reason why so many projects don't get the funding that they hoped for. But there are still those diamonds in the rough for sure and I think this is one of them. Now I was recently contacted by a representative of the folks over at LoneShark Studios regarding a Kickstarter project to fund their new movie Vivarium. Interestingly enough, the describe the movie as a dystopian science fiction environmental movie - yes it's environmental! Their core premise centers around a future where plant life has become extinct and thus one can only "experience" the former green nature of Earth via virtual reality simulations. And while this may not seem to be all that new when you examine the full realm of science fiction books and movies out there, the way that they're managing this project lends a bit more credit to their efforts. With a project goal of only $59,750 (seriously), the LoneShark folks appear to have a very definite plan for putting this movie together. Plus with their focus on finding alternative solutions to achieve the effects they want including building their won rigs and shooting the movie with Canon DSLRs, I can see how they manage to streamline their costs without sacrificing quality. And they made sure to align their Kickstarer goals with their environmentalist thrust by including rewards like a tree planted in your name or even Lavender seeds to help your local bees. 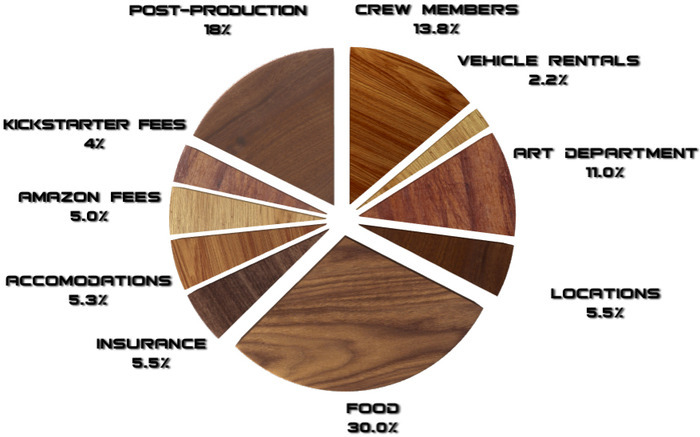 But the top tier rewards for very generous backers include a "tactical action day" where they'll film you going through the action training needed by the actors for the movie and even Executive Producer credits in both the movie and popular movie website IMDB. The initial trailer for the movie can be found after the cut along with their official press release. At the very least consider funding the movie with the same cost of watching it in a theater ($9 USD), get a tree planted and see where things go from there! The filmmakers do make a rather compelling case for why their movie should get made and I do hope they manage to get the funding that they're aiming for. filmmakers Jonathan Ehlers, Patrick Ward-Perkins, and Jason Radspinner of LoneShark Studios began raising funds today for their feature-length, Environmental Sci-Fi Thriller, VIVARIUM. VIVARIUM is set in a dystopian future where all plant life on Earth has been wiped out due to biological warfare. In that world, the only way to experience nature is in the corporate controlled VIVARIUM, a virtual reality of pristine Earth, as it once was. VIVARIUM explores the dynamics of humanity in a world devoid of sunlight, fresh air, and the beauty of a flower; and most importantly, how far heroes will go to get it back. environmentally sustainable filmmaking methods. The film will be carbon neutral, we’ll have no plastic bottles on set, and we’re paying it forward with our eco-friendly rewards in the Kickstarter campaign,” said Patrick WardPerkins, one of the creators of the high-concept film. Combining the natural production value of Southern California wilderness with affordable digital technology, LoneShark aims to make the film with a budget of under $100,000. “The film will showcase settings that are themselves under the threat of disappearing – with looming California state park closures due to deep budget cuts, this issue is all too present,” said Natalie Baack, producer of THE ACTIVIST, the 2010 winner of Best of the Fest: LA Shorts Film Fest. 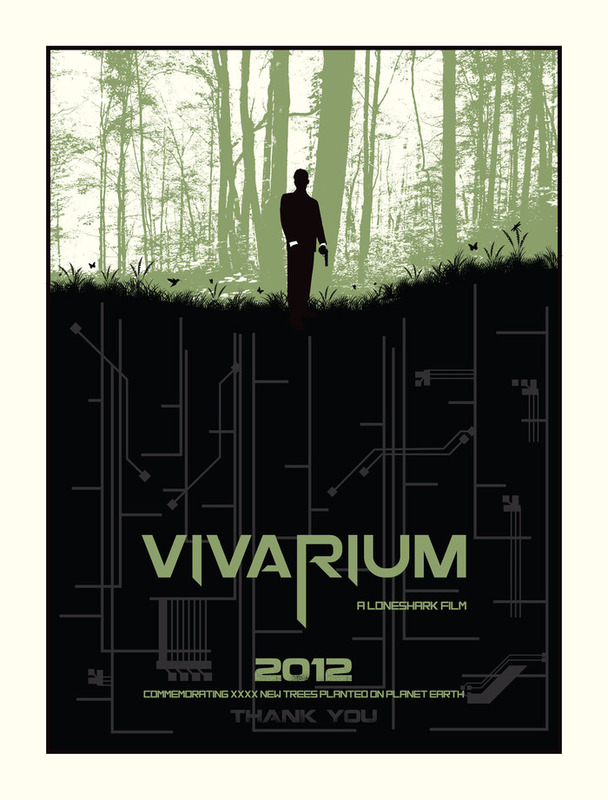 Backers of the Kickstarter campaign will receive a variety of generous rewards including downloads of the film, a certificate commemorating trees planted by the VIVARIUM filmmakers for every backer of the campaign, commemorative posters (designed by graphic artist Mike Klay, founder of PowerSlide Design Company), and unique experiences such as tactical training with the actors. The campaign concludes on August 15th, 2012. LoneShark is a trio of filmmakers that more resembles a jam band than a conventional production company.